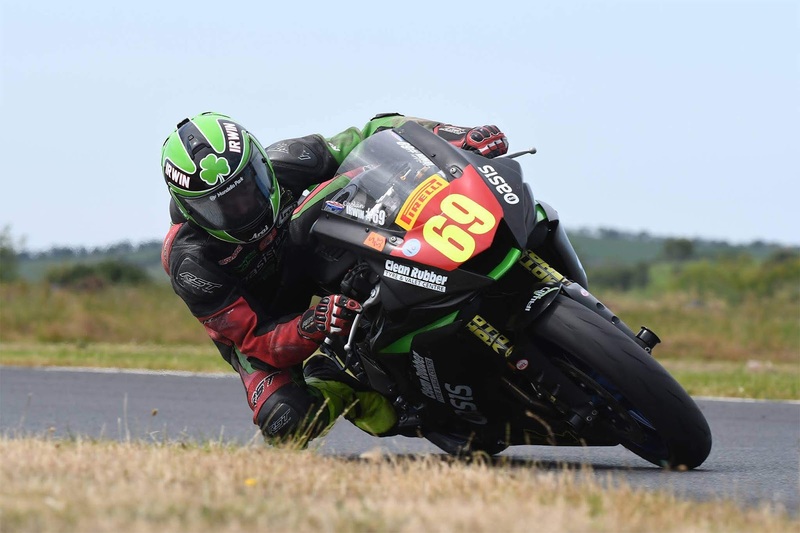 Kilmacrennan, County Donegal based Motorcycle Racing Team, Irwin Racing, took on yet another new challenge over the weekend of July 6th to 8th, as they tackled Scotland's' Knockhill circuit for the first time. 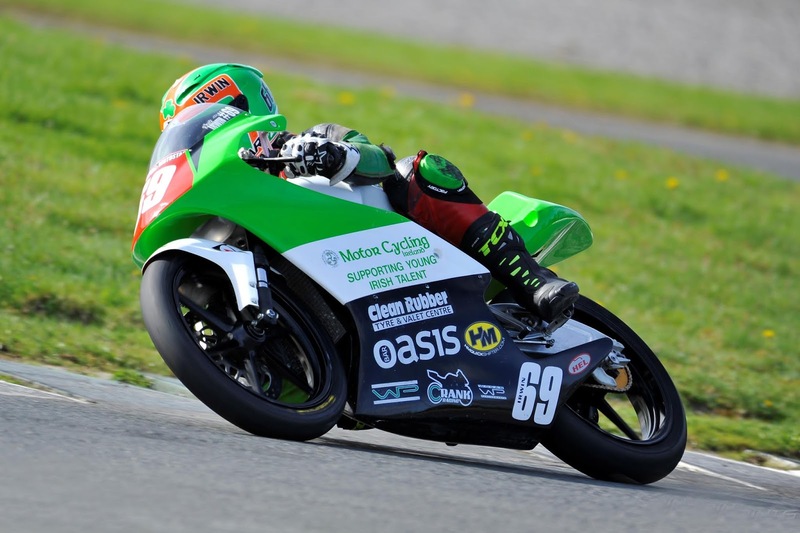 The teams riders, Rhys and Caolán Irwin both improved every time they went on track, with Rhys finishing the weekend with his best result of the season in the Moto3 class and Caolán taking home another strong top ten finish in Superstock 600. The younger Irwin brother, Rhys, made a huge leap forward at the latest rounds of the British Moto3 Standard class at Knockhill. On his first visit to the Scottish track, and coming off the back of a very successful test at Kirkistown, Rhys was immediately closer to the pace of the front runners than he had been all season and finished the weekend with his best ever Moto3 result. Starting closer to the front that previously, Rhys was ninth in opening practice, a second off front running pace. By Qualifying he had reduced this gap to just two tenths of a second to force his way onto fourth place on the grid for race one. A less than optimum start in the first encounter dropped Rhys to sixth and by the time he got back to fourth the leading trio had opened up a gap which he could not close. The fifteen year old pushed hard for the remainder of the race and was happy to bag fourth place, easily his best finish of the season, and was also delighted to be running at the pace of the top three throughout. The start of race two saw the Kilmacrennan rider drop back down the field as he got pushed wide through the first complex of corners leaving him ninth at the end of lap one. Over the next four laps Rhys was the fastest rider on track as he moved into fourth place by the end of lap three and began to close on the leaders. Eager to get his first podium, the Motorcycling Ireland back rider pushed but having caught the lead group he clipped the back wheel of the third placed rider and crashed out to bring a slightly disappointing end to a very positive weekend. Caolán Irwin arrived at Knockhill full of confidence following his recent third place finish at Snetterton but knowing he would be up against it as one of the few riders in the field making his Knockhill debut. A solid start saw Caolán sitting twelfth in practice, one point four seconds off the fastest time. An improved time in the second session, and again in qualifying, saw him drop to fifteenth in the order, underlining just how competitive the Superstock 600 class is. Seventh in Sunday morning's warm up session gave the Donegal rider the boost he needed as he closed the gap to the front to under seven tenths of a second, boding well for the race. A fantastic opening stint took Caolán up to eleventh by the end of lap six when the safety car was deployed. With the race restarted after a lengthy delay, Caolán's progress continued as he climbed as high as seventh, before a technical issue caused him to lose ground, falling back to his final finishing position of eight.